A new San Francisco lounge is offering the ultimate in sparkling water sips. 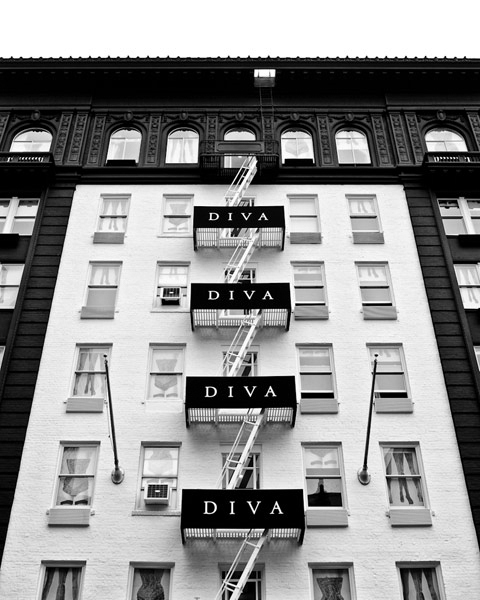 Renowned style leader Hotel Diva, a Personality Hotel located in San Francisco’s Union Square, has partnered with Perrier Sparkling Natural Mineral Water to open the first and only sparkling water lounge. The Perrier Lounge, which is located on the sixth floor, provides a refreshing respite for guests to unwind while quenching their thirst. Hotel Diva is located in the heart of San Francisco’s Union Square, with all of the excitement of the city’s finest shops, theaters, art galleries, restaurants and nightlife just right outside the door. Designed by Lembi-Detert and her daughter Emily, a student at the Fashion Institute of Design & Merchandising in San Francisco, their inspiration for this one-of-a-kind Perrier Lounge came directly from the iconic green bottle. Towering 30 feet “Perrier Green” walls accented with round mirrors create a dramatic backdrop for a chandelier featuring hand-blown glass bubbles cascading at staggered heights.While sipping on a bottle of Perrier and relaxing in a swinging bubble chair designed by Room Service, guests can watch Perrier’s latest short film, “The Drop,” directed by Johan Renckon the flat screen TV, or check out the custom-designed window shades printed with Perrier’s “Melting” ad. Other distinctive elements of this visionary space include sheer white bubble curtains, silver Perrier bottles, antique furnishings and bubble accented wallpaper and carpeting. The completion of the Perrier Lounge marks the finale of Hotel Diva’s $2 million renovation, which included a redesign of all 116 guestrooms and suites, common areas and the exterior. Led bySan Francisco-based Edmonds + Lee Architects, Hotel Diva has been re-envisioned with a dramatic yet clean, modern style inspired by a theatrical and fashionable evening out. Hotel Diva, 800.553.1900, visit www.hoteldiva.com.